Basically any keyboard you will purchase out there is multitimbral. That means it can produce more than one instrument sound at a time. 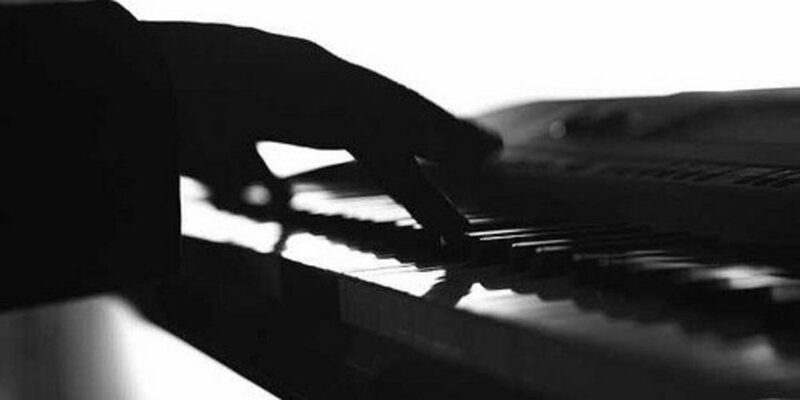 One example may be playing a piano sound at the same time it is playing a string sound. 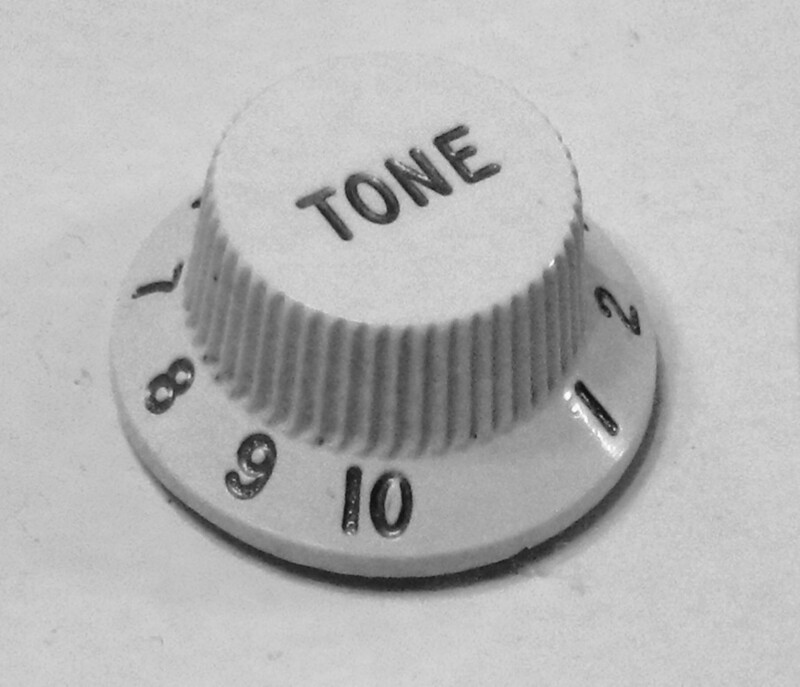 Obviously this adds more depth to a keyboard player’s overall sound. Fortunately, with today’s technology, a guitarist could pretty much do the same. There are so many more options available and I’d like to discuss some of them in this article. 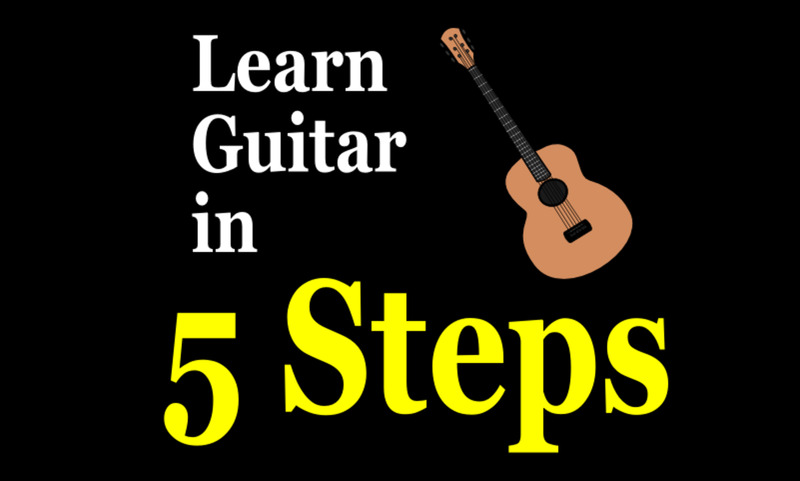 Maybe some of you guitarists out there will be inspired to experiment with the concept of being a multitimbral guitarist. Why should just the keyboard players get to have all the fun? One simple way of getting into being a multitimbral guitarist is to first split your guitar signal. One expensive option would be to split the guitar signal and send it to two separate amplifiers. For many people, that is too expensive of an option. But there is a cheap alternative where you would split the signal, and then use a pedal that merges the two signals. Then you could run that merged signal into a single amp or a single input on a mixer. Any standard ABY pedal could be used to split a guitar signal. Some are passive (not powered) and some are powered. They will vary in price and you should read online reviews on them because you have to be careful to purchase one that does not produce hum. I had a cheap passive one that I bought at a garage sale and it produces a bit of hum, so it makes it unusable for gigs. Turns out, that garage sale purchase might not necessarily have been such a bargain after all. In any case, you could probably still get a decent one for well under one hundred dollars. Now, the whole point of splitting the signal is so that you could apply different effects and/or equalization to each signal. One example would be to have a clean guitar sound with no effects on one signal and on the other, you could apply some chorus and more treble to make it stand out from the other signal. Or maybe the first signal could have distortion and the second one could be clean or have chorus applied to it. Obviously, each signal would need its own effects processor. There is a cheap way of doing that. I use two Zoom G1on effects pedals. Currently, each one costs just sixty dollars. The Zoom G1on effects unit has everything under the sun. It has modulation effects like chorus, flange, phaser, tremolo, rotary speaker simulation and so on. It also has various distortion types like Tube Screamer like overdrive, fuzz and simulations of amplifier distortions and overdrives. It even has a variety of reverbs and delays to choose from. Its amplifier and cabinet simulations are nice too. It really offers a lot for the price. The Zoom G1on has a fairly simple menu system that makes it easy to navigate and easy to edit each patch. Each piece of equipment it emulates has a display that looks like your standard knobs that you would normally see on effects units. You would just turn them as if you were using the actual pedals themselves. The G1on has an output that could be used as a standard ¼ inch output into an amplifier or mixer or it could be used as a headphone output. If you use a ¼ inch stereo to two mono adapter, you could use the unit itself as a splitter. You could always just opt for the cheaper multi-effects units like the Zoom G1on, just to get started and slowly, over time, replace them with more expensive individual units. It’s just that you might want to save a few bucks just to be able to get started. One nice trick is to have delay on one signal and none on the other. The key to giving it depth is to first make one signal have more treble or more bass than the other signal. That makes the two signals more distinguishable from each other. Then applying different effects to each individual signal adds more depth to the overall sound.c this works great in situations where there is only one guitar player. At some point, after each signal goes through its own effects processor, you will need to merge your signals. That’s if you don’t want to bear the expense of having two separate amplifiers to route the signals to. The Morley ABY MIX 2-Button Signal Combiner Pedal is perfect for combining the two signals after they have been split. It has two inputs and each has its own volume knob so that you can mix the volume of the two signals to your preference. The Morley unit also has two switches for two outputs, so it could also serve as a splitter. Maybe later on you might find a different use for it and it’s nice to have a number of different options available to you. One additional use I would have for the Morley pedal other than to merge my split signal would be to run more than one instrument through my effects chain on my pedalboard and be able to switch the output to a different channel on my mixer. Let’s say that I have an A/B switch going into my effects chain. Then let’s say that I have a guitar and a mandolin plugged into it. I generally would not have the same settings on the mixer for the mandolin as I would for the guitar. So it would be nice to have the option of switching the output to a different channel. That’s why I mention the Morley ABY MIX 2-Button Signal Combiner Pedal specifically. It’s because it has so many potential uses and it also offers a lot of capabilities for the price. What I have basically outlined above is just a simple setup designed just to get you started. There are much more complex setups you could get into. Those more complex setups generally give you more options and an overall increased depth of sound. So to give you more of an idea, I will explain what I currently have going on for myself. I play out as a solo performer. It’s just my guitar and my voice. I don’t really do much to process my vocal sound. I just use light compression and a little hall reverb. But my guitar setup is a lot more complicated. I’ve spent a lot of time trying to develop a full sound for a solo performer and have spent a significant amount of money to purchase the equipment I now use. I like to think that I have a very full sound for one person. I have a few Electro-Harmonix and Zoom guitar pedals that I use that really do wonders for my sound. First I start out with my Fender Deluxe Stratocaster. The single coils offer great clarity for when I do fingerstyle guitar. No matter how fast I fingerpick, you can clearly hear every note. I run that into an Electro-Harmonix boost pedal to push the overdrive or distortion effects harder because the single coil pickups don’t have as high of an output as humbuckers generally do. However, the single coils offer so much clarity that I don’t think could be matched by humbuckers. It may be a matter of preference or opinion but that’s how I feel. Then I go into a Zoom G1on guitar effects unit. I use that just for the clean tone and a few of the distortion effects. I don’t use any of the delays, reverbs or modulation effects in that unit. 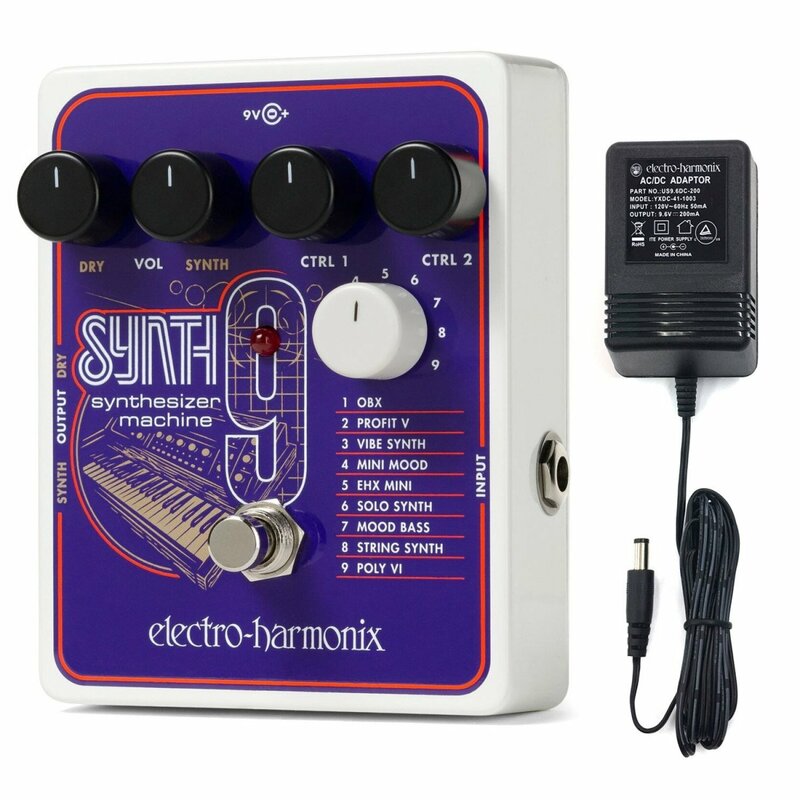 The reason is that it affects the tracking of the Electro-Harmonix pedals that follow it in the chain. I will get into that more in a bit. The nine sounds/patches that the pedal offers are: Orchestra, Cello, Strings, Flute, Clarinet, Saxophone, Brass, Low Choir and High Choir. I use most of the patches regularly but I favor the Cello patch mainly because it offers some low tone that mixes well with the treble that is highlighted by my single coil pickups on my Strat. The pedal also allows you to mix the un-effected guitar sound with the effected sound. Each has its own volume control. The Mel9 has two outputs. 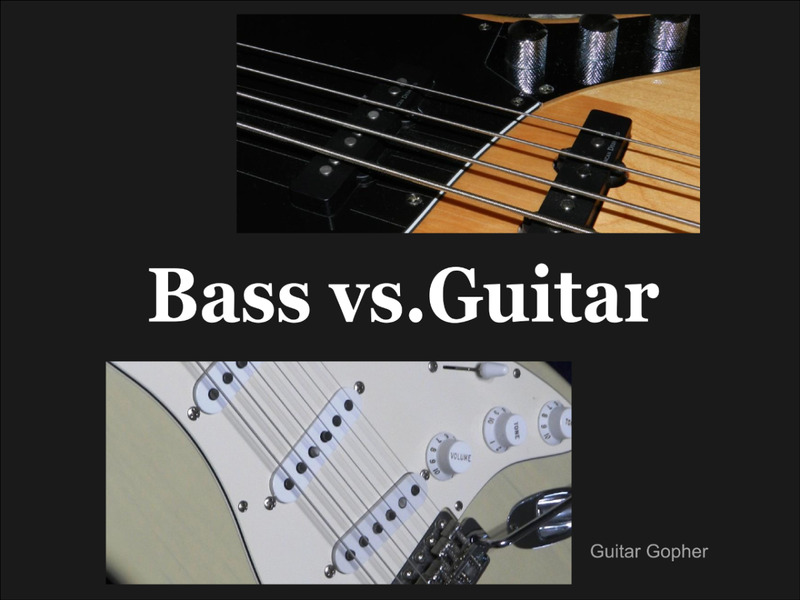 One is for the un-effected guitar sound and the other is for the effected sound. So you could also use this unit as a splitter. But you do have the option of using just one output for both. The pedal tracks your guitar sound and converts it into a different instrument sound like those previously listed. If you have effects on the guitar prior to sending it into the unit, it may throw the tracking off. it works okay if you are using some distortions but if you use modulation, delay or reverb effects, it will definitely throw off the tracking and it will make what comes out sound more like gibberish. Then I go into an Electro-Harmonix C9 Organ pedal. It makes your guitar sound like an organ. It had 9 different instrument sounds like the Mel9 does. Also like the Mel9, the C9 offers two outputs and a volume for each of the two signals. The organ sounds are as follows: Tone Wheel, Prog, Compact Shimmer, Lord Purple, Mello Flutes, Blimp, Press Tone and Telstar. The patches represent sounds from classic keyboards and keyboard sounds used throughout the years. The Lord Purple patch emulates the keyboard sound of John Lord of Deep Purple and the Blimp patch emulates the keyboard sounds used by Led Zeppelin. That’s just them getting cute with the names. The Telstar sound is similar to the keyboard sound used in the old instrumental classic by the same name. My favorite patches in the C9 are Shimmer, Lord Purple and Blimp. Of the three of those, I use Shimmer the most. After that, I go into another Zoom G1on pedal that I use only for the delay and reverb effects. Occasionally, I will use the modulation effects like chorus, tremolo or phaser sounds. Generally, I always have the Mel9 cello sound on. I will sometimes have that go simultaneously with the C9 Organ pedal. It really depends on the song. But I will often have three sounds going on simultaneously. One example would be having the clean guitar sound with the Mel9 cello sound and the C9 Organ sound all at once. It works very well to produce a nice full multitimbral sound. Then they all go into the Zoom pedal for delay and reverb to give it more depth or ambience. I generally use the hall reverb sound, which works great with the string or cello sounds of the Mel9. The guitar is mostly midrange. I have single coil pickups which generally boost the highs, so I turn down the highs on the mixer for it. 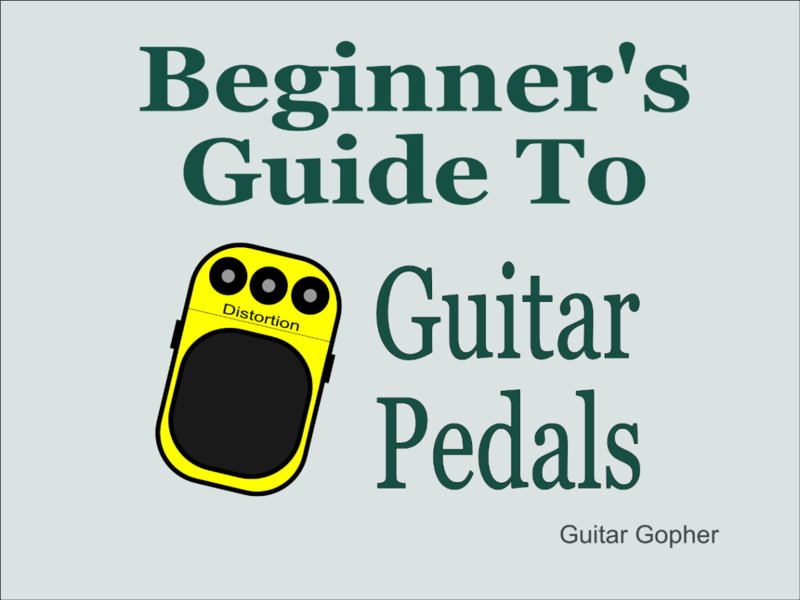 That causes the midrange frequencies of the guitar to stand out more. The cello sound tends to have a little more bass to it and the C9 Organ kind of places an emphasis on the highs. So altogether, it provides a wide range of frequencies that makes for a very full sounding mix for one instrument. I have done a lot of experimenting with my sound. I have done much of it through a small practice amp. Surprisingly enough, it even sounds great through that cheap practice amp. But when I run it through my Peavey mixer, it sounds totally amazing. I love it. Many of us have a tendency to try to play it safe by just doing a simple setup that involves very few components or setup time. I have a pedalboard so that reduces setup time significantly. Admittedly, I probably don’t experiment as much as I should, given the potential my equipment offers but I do so from time to time when I am in the mood just to play around with various settings. I will occasionally discover something amazing to add to my bag of tricks. 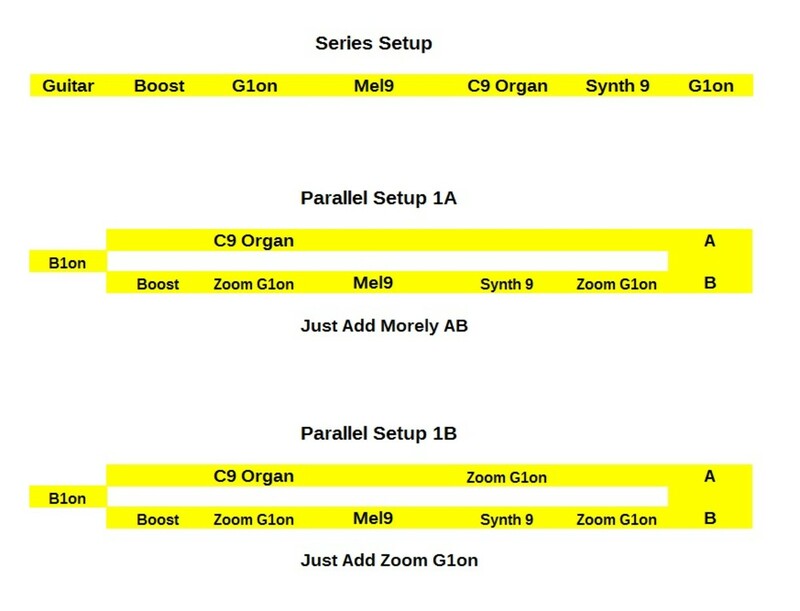 I have made diagrams where I have mapped out how I would lay out my pedals and how I would do my signal routing. I have done it in a spreadsheet. It really helps me to analyze everything and think it all through. I also map out stages where I plan to expand it. That helps me to decide what I think would be the most logical order for future purchases needed to accommodate the expansion. I have included an image to give you an idea what I mean. Mapping things out before you even start might be a good idea as well. I really only started doing it after I started filling my pedalboard up with new pedals. I can see it saving people money if they map things out in advance because it might prevent you from making unnecessary purchases. Anyway, give it some thought and see what you come up with.